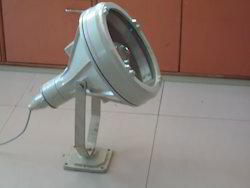 Pioneers in the industry, we offer flameproof flood light fitting, flameproof tube light fitting, led flood light fitting, 12w bottom openable square light fitting and 36w flameproof tube light fitting from India. We are one of the leading manufacturers, suppliers and exporters of a broad assortment of Flameproof Flood Light Fittings. These fittings are designed and manufactured by our sedulous professionals utilizing premium grade metals and allied basic materials. Thoroughly tested against various quality parameters, this range is ensured for its perfect usage in various industries. 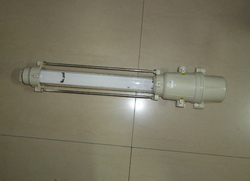 In order to attain complete contentment of the customers, we manufacture, supply and export Flameproof Tube Light Fitting. This range of fittings is manufactured using finest quality metals and alloys in accordance with the international quality standards. Other than this, we make it a point to test each fitting precisely before dispatch to be sure of delivery of flawless range. SEPL Make Flameproof-Weatherproof LED Flood Light Fitting lighting fitting suitable for use in hazardous location div I & II in gas group IIA IIB in die cast Aluminum Alloy LM-6. From the very first day of our inception, we have been successfully manufacturing, supplying and exporting 12W Bottom Openable Square Light Fitting. All the offered fittings are manufactured using quality-approved material, which is procured from the trusted vendors. Our offered fittings are delivered to patrons within the set time frame to win their trust in us. Having a definite quality management system, we are regarded as the noteworthy manufacturer, exporter and supplier of an extensive gamut of 36W Flameproof Tube Light Fitting. The offered fittings are meticulously tested on various quality parameters and are widely demanded in various industries. Provided range is manufactured by utilizing optimum quality raw material and the latest technology. 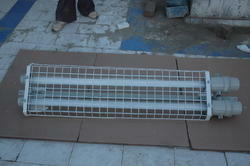 In line with international standard, we provide the entire range in various customized options and at affordable price.